WHERE is Hon. 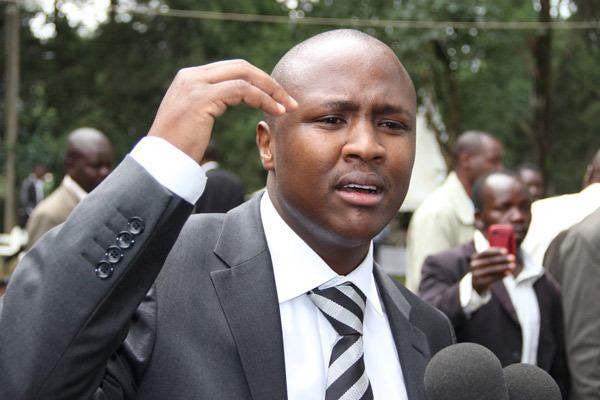 Alfred Keter, THREATENED to silence? or he was just a TEST-TUBE anti-corruption crusader? Where did Hon. Alfred Keter go? Kuttuny once said he wanted to bribe him for his silence, did he succeed? I hear of late accompanies chief hustler Bill Machozi-Ruto everywhere, yet before DP Ruto could not even attend funerals for fear of being heckled. What exactly happened to his fight against corruption especially the Standard Gauge Railway, Ruto fixers etc?. These issues have not been solved, so I wonder why he has gone silent, or are we seeing another Boniface Mwangi in the making. People who do not have the balls to fight to the end for the good of humanity. Or was he threatened that he might vanice like some witnesses? or simply got his share of the railway….remember Murkomen how fiery was in defence DEVOLUTION? yes looks like Alfred Keter got into the same box that swallowed Murkomen, test tube confirmed!